The Grounders lay siege to the camp, demanding that Finn be handed over to them to pay for his crimes. 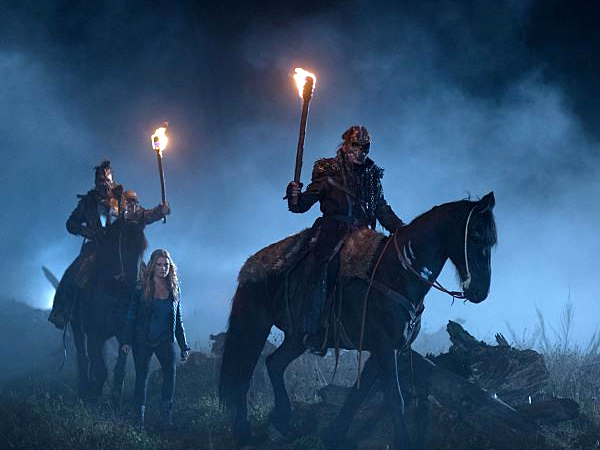 As Abby determines to prepare for a fight Kane returns, and Clarke and Bellamy decide to take their friend’s fate into their own hands. Clarke (Eliza Taylor) returns to Camp Jaha with devastating news. Finn (Thomas McDonell) struggles with the aftermath of his actions. Abby (Paige Turco) gathers information from an unlikely source and prepares for a fight. Meanwhile, flashbacks reveal Finn and Raven's (Lindsey Morgan) relationship on the Ark. Isaiah Washington, Henry Ian Cusick, Marie Avgeropoulos, Devon Bostick, Ricky Whittle and Chris Larkin also star.